To make yourself look glamorous on the day of your wedding, you need lots of effort and time for it. One of the things you have to prepare is getting the right pair of shoes. Note that every bride has their own unique taste of shoes. They need to look very stunning and walk gracefully with the use of the best shoes. After all, you are the Cinderella of the beautiful event who needs to find her shoes that fit right and perfectly. Even in finding shoes, the bride has to be thorough and picky. She has to find her unique style of wedding shoes. 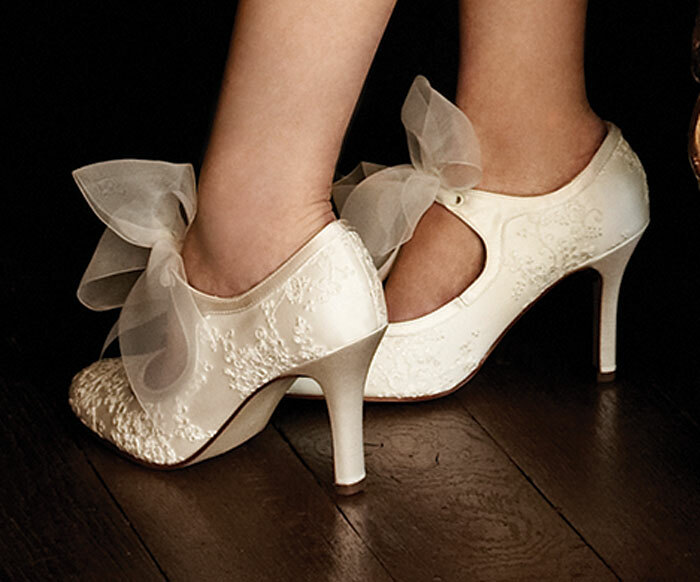 The bridal wedding shoes is also an essential material that should be put in priority. This should be the second, one being the bridal gown, on the list of priorities of the bride. What you are going to learn from the list below are tips on how to find the best and most appropriate wedding shoes that meet your preference and budget as well. Your assignment is to look for the hottest, trendiest and most modern styles of shoes for wedding these days. You can start with various websites that offer bridal shoes. But this does not mean you just have to stay in front of your computer sitting all day. Take time to go to the local stores and boutiques of shoes, too. From these, it won’t be too hard to pick the shoes that suit your budget and personal needs. Remember the wedding dress is still the most important among your attire and accessories. With shoes, this is able to complement the gown you are wearing. After all, you have to look so elegant and attractive from head to toe. With that said, pick out a pair of shoes that can match your white gown. The bridal gown is usually white, so the shoes have to be in the same color as well. Even if your dress is not pure white, the color of the shoes should be in the same shade as the attire. The basic element in looking for shoes is comfort. The design or style may appear beautiful and unique, but how are you able to enjoy marching down the aisle and walking around throughout the occasion if you are not comfortable wearing it. This kind of shoes is essential to deal with your convenience. The more comfortable and safe you are with your shoes, the better chance for you to enjoy this special celebration with your new lawfully wedded husband. How high your heels are does not matter as long as you are comfortable walking with it. What is not fair at all is if the shoes do not perfectly fit to you. Remember the story of Cinderella, the shoes she was wearing only fitted to her and nobody else. The point here is that find the right shoes as if you are Cinderella. You can wear shoes with very high heels or lower as 3 inches but make sure it fits well. You may have spotted the right shoes you are looking for. The style has been covered and the size is rest-assured. Now, have you checked how much it will cost you to buy that pair of shoes for your wedding? See to it that you can afford it and must be within the range of prices you prefer based on your wedding budget. Do not wait for the last week before you start finding the perfect shoes for you. It is a serious business to spot for the right pair. This is your wedding and you need to look beautiful and magical. That’s why give this a big deal even though the item is just shoes. In fact, it is not just about shoes, but rather one piece that completes the puzzle, which is the stunning bride. That being said, follow the tips suggested above to help you out in picking the best and perfect pair of shoes that you can wear on the special day as the bride.